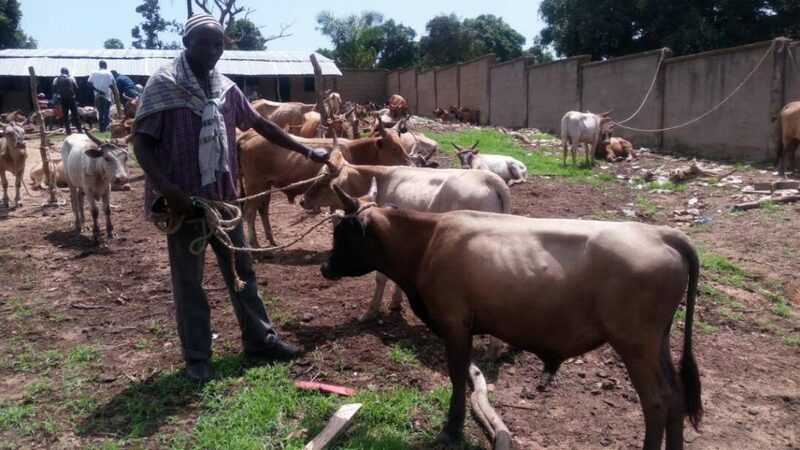 The Oxen Project was established in 2017 in order to purchase pairs of oxen & needed equipment, secure, train, & utilize them for area farmers to use the oxen to plow their fields at times scheduled by the paid Caretaker who lives adjacent to the site. They then return them to rest & be cared for then until another farmer uses them & so on. This program saves countless farmers & their families long hours of hard labor. 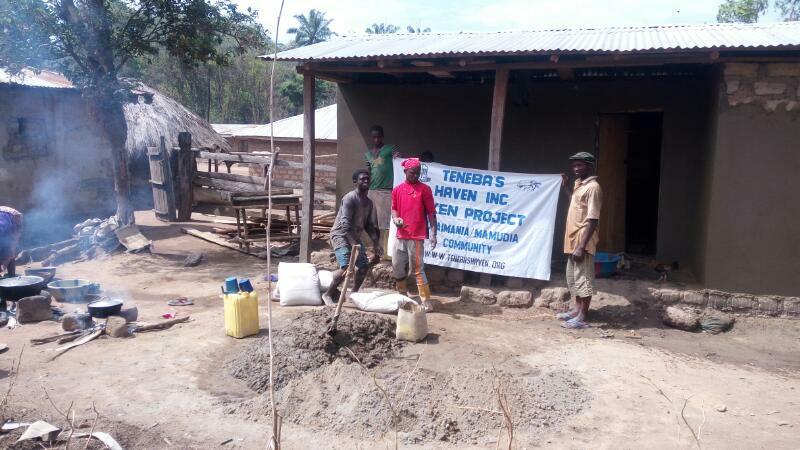 At this time, we have a completed oxen housing site in place to house oxen pairs & equipment to plow. Teneba’s Haven purchased one pair of Oxen & equipment at a cost of $1,000.00 in 2017, they are now trained & doing their job as outlined above. On October 28th, 2018, Pastor Lorna Richert, Associate Pastor of Shepherd Staff Ministry, purchased a second pair of oxen & equipment on behalf of her twin granddaughters (Kayla & Kylie Lalande). 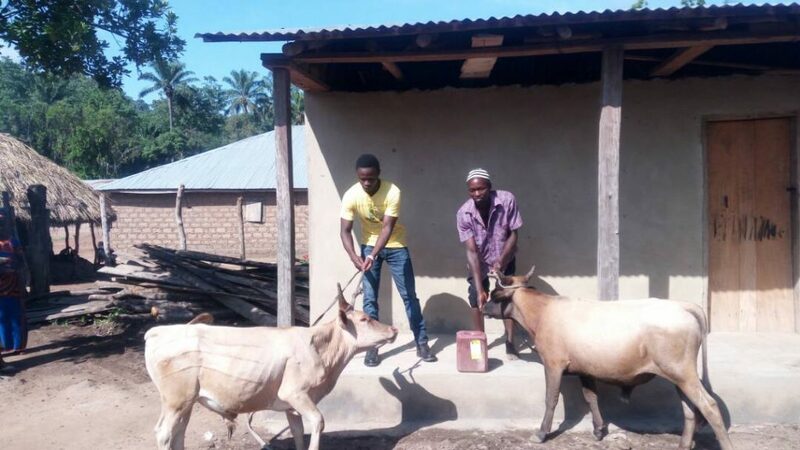 They are thrilled & excited to see pictures of the oxen as they grow & learn their duties. They have asked that they be named David & Jonah respectively. Upon purchase of this second pair, we are set for the time being with no plan to obtain any others at this time. 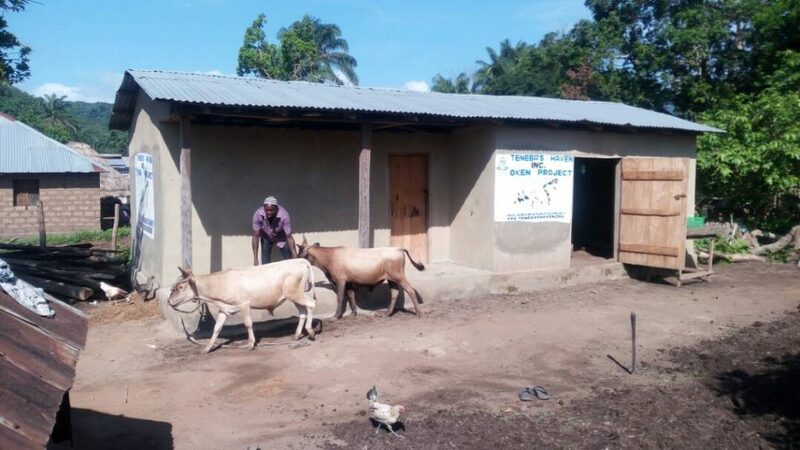 However, we will be accepting donations on an ongoing basis to pay the Caretaker & house, give vet care & secure the oxen serving the farming community presently & going forward. 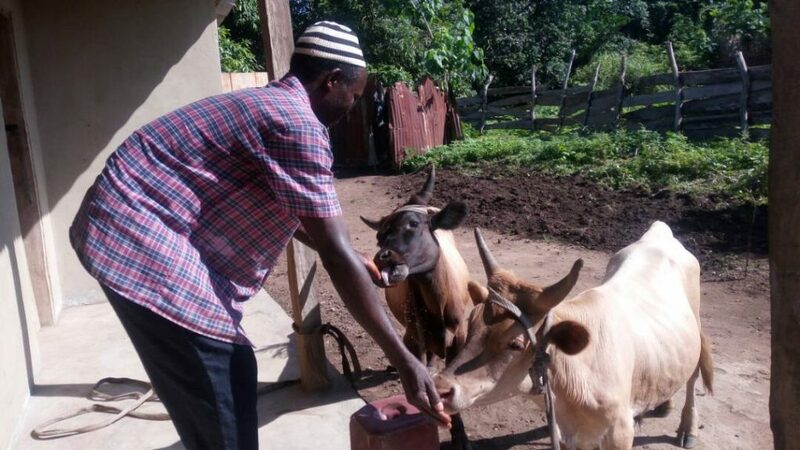 Video of Village chief, Ansumana Sawaneh; together with some elders expressing gratitude for the oxen project. Oxen have gained a few pounds. Care-taker continues to familiarize himself and train them. Picture of oxen being led to dwelling place.The care-taker and his team are getting themselves familiarized with the animals. Take a look at our first two oxen with their care-taker! 2017-2018 promises to be an exciting year as our Oxen housing Site is in place to house oxen pairs to be trained within 6 months of Purchase to plow the fields of area farms. Caretaker will live alongside the site to secure, feed, train & schedule times for area farmers to use the oxen to plow & then return oxen for rest & care going forward. 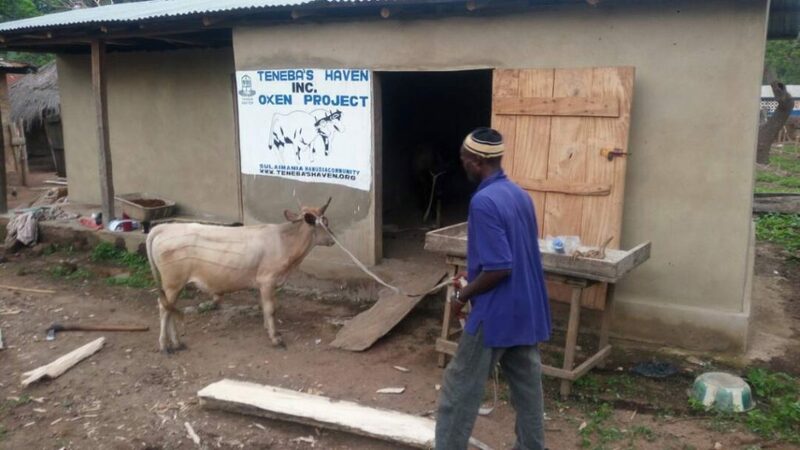 To purchase a pair of oxen (two cows) will cost $500.00 + equipment. Donations accepted now through our donation page.